The internet and social media have forever changed the way we communicate, interact, love, work, and play. 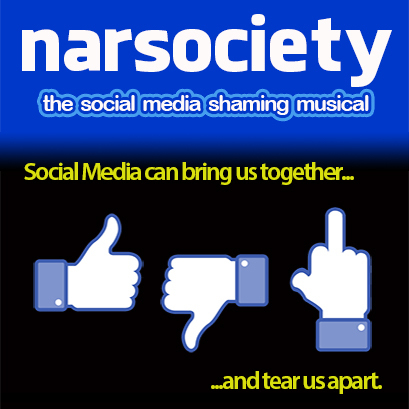 Narsociety – The Social Media Shaming Musical tells the story of what happens when it all comes crashing together, when the private becomes public, when technology meets art, when selfies are more important than self-expression, when outrage dominates the conversation, and when agendas ruin lives. We gotta laugh at this crap. All CARLOS LARSON wants is to be a world-famous cartoonist. He’s confident that the internet and social media is how to do it, but he doesn’t really know how to make it happen. Carlos’s friend TRAVIS BOOGER, an internet troll, is helping him, but he mostly spends his time leaving hurtful comments on Youtube and “catfishing” unsuspecting women. Carlos meets and falls in love with SADIE DOLE, an internet-introvert who wears her heart on her twitter feed. They’re happy for a brief time, only to have the entire thing go sour as these things often do when finding a work/love balance becomes too difficult. What Carlos doesn’t know is that Sadie’s best friend BLAIR MALLORY has set her blogging outrage on some of Carlos & Sadie’s personal communications, finding them offensive and sexist. Sadly, many people agree with her, and Carlos becomes the internet monster of the week. Travis decides to rile up the opposing side, and soon Carlos and Sadie find themselves in the middle of an all-out internet war between two factions that seem to only care about their own agendas, and only hope to instill more outrage and anger. 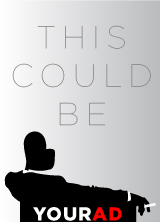 With Carlo’s career in a tailspin and his love life wrecked, can he ever find a way to recover in a world where your slightest transgression is blown up for the world to see, and nobody ever forgets?